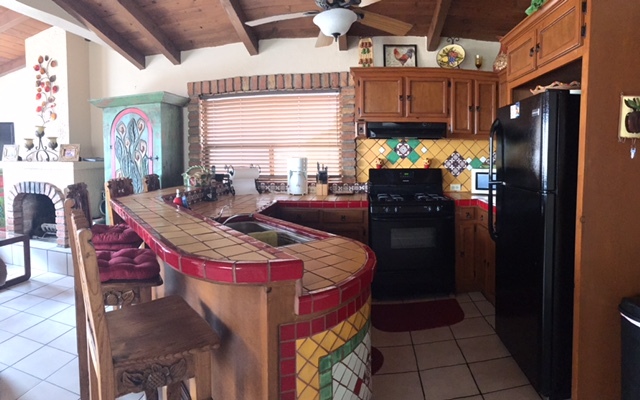 This 5 Bedroom, 4 Bath Ocean View Home Sleeps 10 Guests! 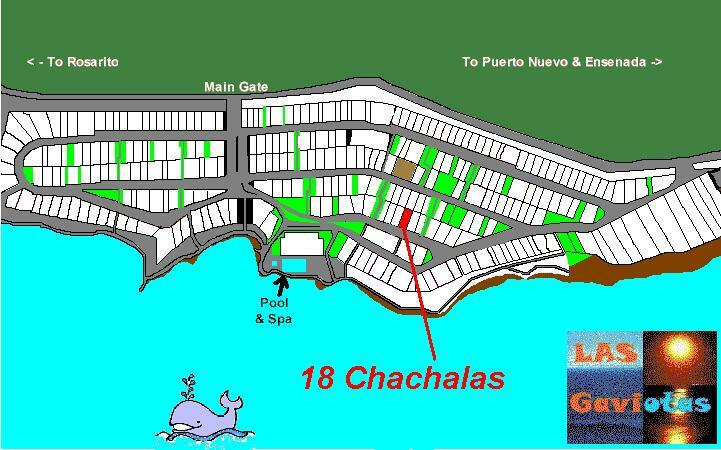 This 5 bedroom, 3 bath house at #18 Chachalas is only two streets back from the ocean, and has a 180 degree ocean view. 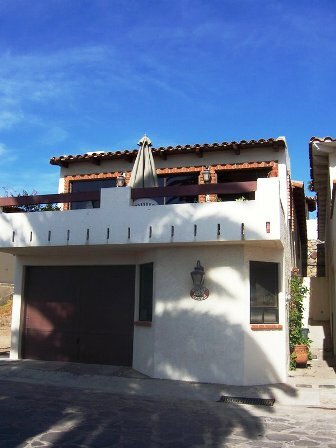 There’s parking for two cars, one in garage and one in front of house. 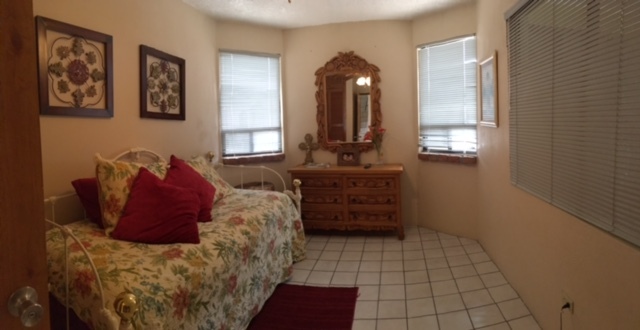 This home is also available for monthly rentals, at very reasonable rates. Ask about arranging massage appointments before you arrive. 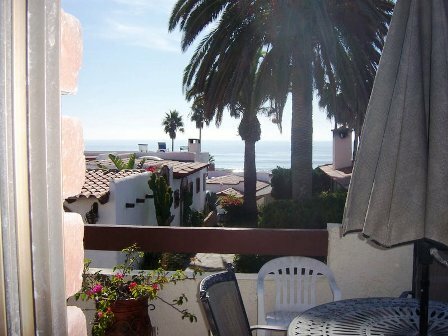 The 180 degree ocean view looks through the common area and a walkway to the beach. Street View from deck, which has a Charcoal BBQ. 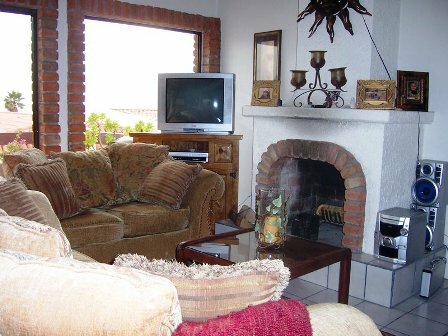 Living Room with wood burning fireplace, TV, VCR, DVD, and CD player. 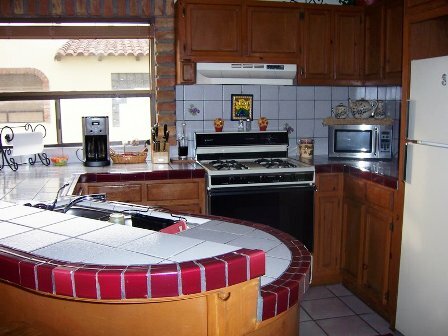 Fully equipped Kitchen with microwave, blender and toaster. 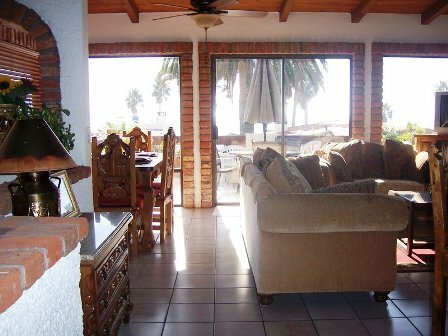 The other bedrooms in 5 Bedroom, 4 Bath Ocean View Las Gaviotas Home. 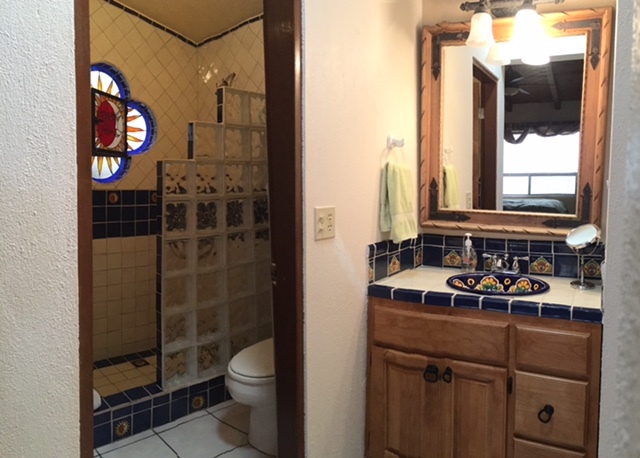 Sunday through Thursday, (non-weekend, non-holiday rentals): $350/night. 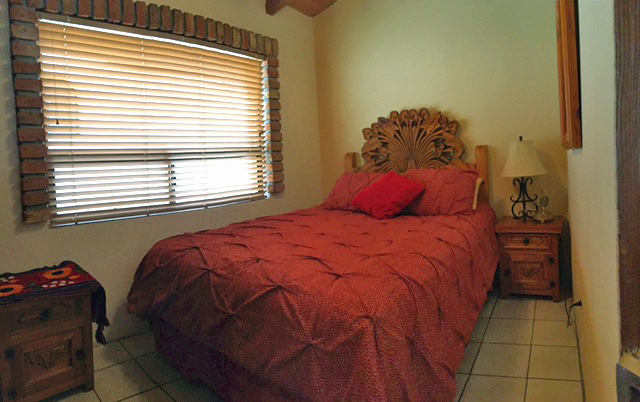 Weekend & holiday rentals: $400/night. 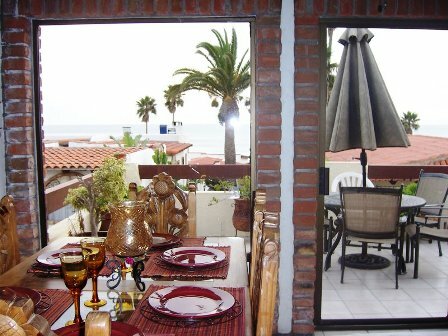 There is a 3 night minimum July & August, and a 4 night minimum on holidays. Please contact us for extended stays of 1 week or more. 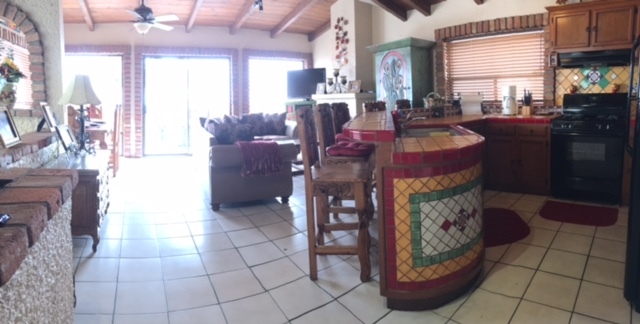 NON Smoking Home … NO PETS. 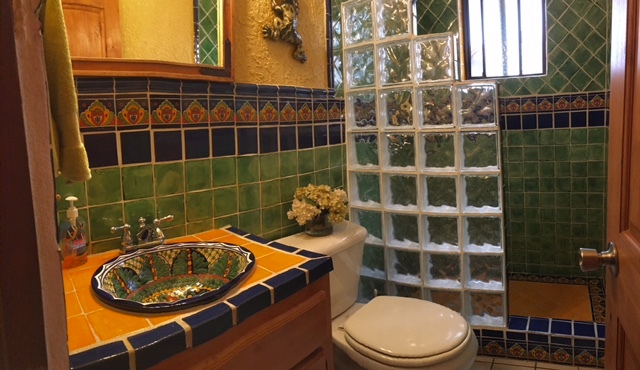 We require a cashiers check or money order for HALF the rental, plus a $200.00 security deposit, to reserve the house for you. 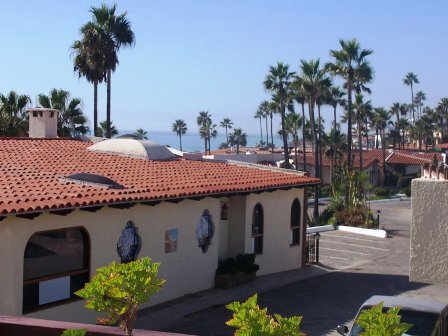 The balance of the rental is due 45 days before check-in. Check-out time is by 10:00 am or earlier.